Hedge Funds are very low key and infrequent users of social media, as Hedge Fund Insight has shown before*. 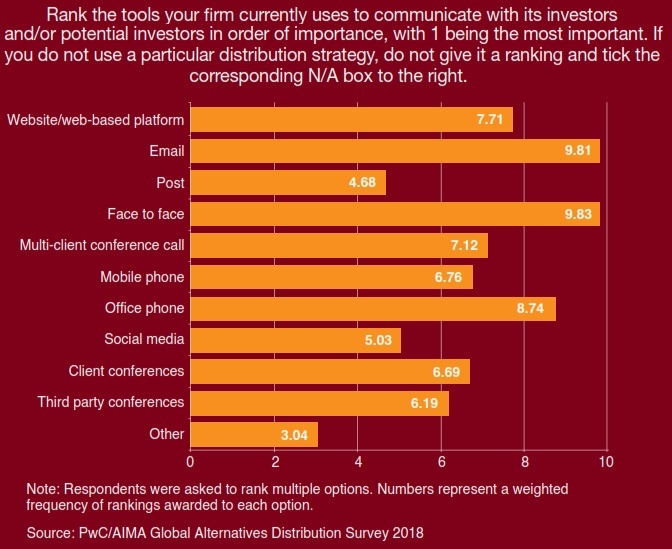 This is nicely illustrated in the PwC/AIMA Global Alternatives Distribution Survey 2018, that contains the following graphic. The Survey reveals that social media rank at the same level as snail mail as a means for reaching potential or existing investors.